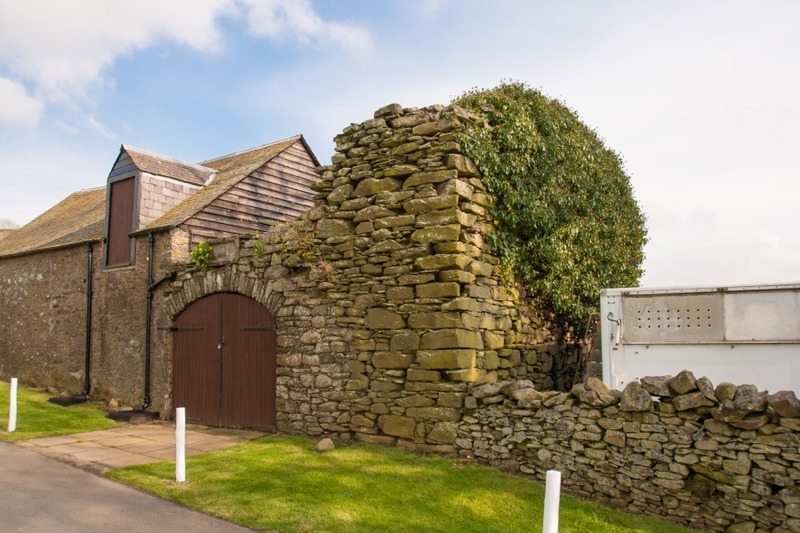 Ladhope Tower is a 16th century castle of which only the basement level remains and is now used as a storeroom for a golf club. The name Ladhope was given to the southern part of the lands of Appletreeleaves which were owned by the monks of Melrose Abbey in the 16th century and earlier. 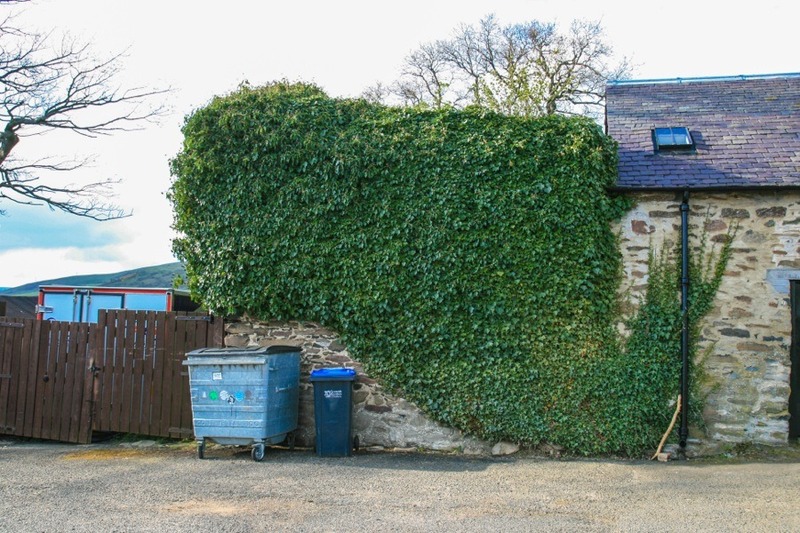 It has been suggested that the Apiltrie mentioned in a charter of Robert the Bruce, probably around 1320, may have been Appletreeleaves, however it seems more likely that it referred to Appletreehall near Hawick. 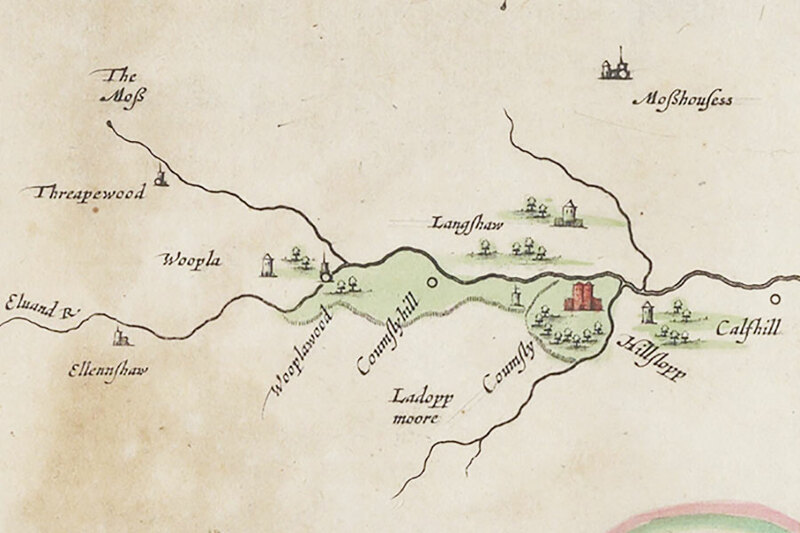 The lands of Appletreeleaves were feued to John Darling, who died in 1552, and it seems possible that he was responsible for building the tower here. Little is known about the tower however it was built on a rectangular plan and originally measured around 9.5m by around 6.2m with walls around 1.1m thick. The basement was probably vaulted and there is evidence of corbelling for the first floor or a mezzanine level. Only the south and west walls and a corner fragment of the north wall remain, standing to a maximum height of 5.5m. A 19th century stable block has been added to the east. 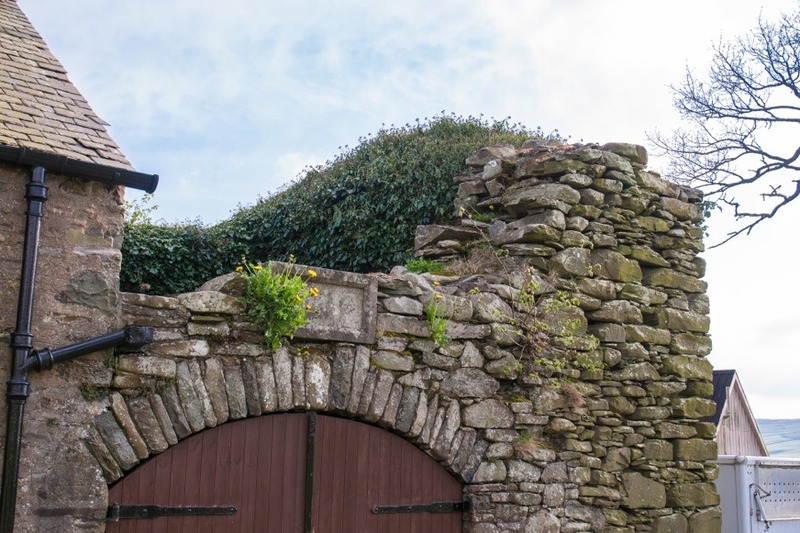 Adjoining the small section of the north wall of the tower is an arched doorway, thought to have been built early in the 20th century possibly using some from the tower. Above the arch is a blank rectangular stone panel. The tower occupies a strategic position on the west side of Blaikie’s Hill, with far reaching views across the valley of the Gala Water below. John Darling had three sons, John, Robert and Philip, and Robert is mentioned in 1577. Robert’s son, Andrew Darling, is mentioned in a sasine from 1583 granting half the lands of Ladhopemuir to him and his future wife Christian or Catherine Cairncross. The Cairncross family owned the nearby Colmslie Tower and Hillslap Tower, and Hillslap had originally been a part of the wider Appletreeleaves estate. The Darlings owned Ladhope until 1792 when it came into the possession of the great-great-granddaughter of Andrew Darling who sold it to Archibald Menzies, a merchant from Edinburgh, in the same year. He in turn sold it to a writer named John McRitchie in 1801, and in 1813 it was acquired by Archibald Gibson from Edinburgh, a cousin of Sir James Pringle of Torwoodlee. The estate was divided in the same year with the lands of Langhaugh passing to George Blaikie, apparently a descendant of the Darlings and presumably for whom Blaikie’s Hill was named. Langhaugh was sold to Lieutenant William Clark of the Royal Navy in 1817 and he was succeeded by his son Major Clark. In 1822 the remaining part of the Appletreeleaves estate was bought by Archibald Gibson to add to Ladhope, and in 1843 he sold them to William Brunton. In 1885 Brunton allowed Galashiels Golf Club to create a 9 hole golf course on his land, stretching from Appletreeleaves to Ladhope meadow. By this time Ladhope Tower was in ruins, and probably had been for some time, and the main residence on the Ladhope estate was Ladhope House which stood further down the hill just above High Buckholmside. Now gone, it was probably built in the late 18th century or some time in the 19th century. A property named Appletreeleaves stood to the south of Ladhope Tower and was used as a farmhouse but is now the clubhouse of the golf club. The Ladhope Estate was later owned by Hugh Roberts until his death in 1944 when it was bequeathed to the Burgh of Galashiels. Ladhope Tower is now used as a storeroom for the green-keeper of the Galashiels Golf Club. Ladhope Tower is in the parish of Melrose and the county of Roxburghshire. Published on the 13th of November 2011 at 6:29 pm. Updated on the 24th of April 2018 at 1:18 pm.